Registration of elephant tusks for owners of locally sourced ivory began in Bangkok on Monday, February 2, reports The Nation. 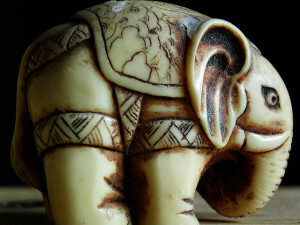 The ivory registration is part of the enforcement of new law that went into effect on January 22. The new law is reportedly aimed at identifying locally sourced ivory from African ivory in The Kingdom so the Department of National Parks, Wildlife and Plant Conservation (DNP) can crackdown on illegal African ivory smuggling. Nipon Chotibal, the director-general of the Department of National Parks, Wildlife and Plant Conservation (DNP), also said that ivory pieces currently possessed by individuals can only be inherited, not sold, traded, given away or transferred. The Nation reports that owners of locally sourced ivory have until April 21 to register at the Phairoj Suwannakorn Building in the DNP’s Wildlife Conservation Office compound off Phahonyothin Road in Bangkok. Owners of ivory from Africa can register in a 90-day period starting from March 14.